Beyond Zephyr: Guess Who Is Knocking? I wonder if they are trying to get winter storage or something. 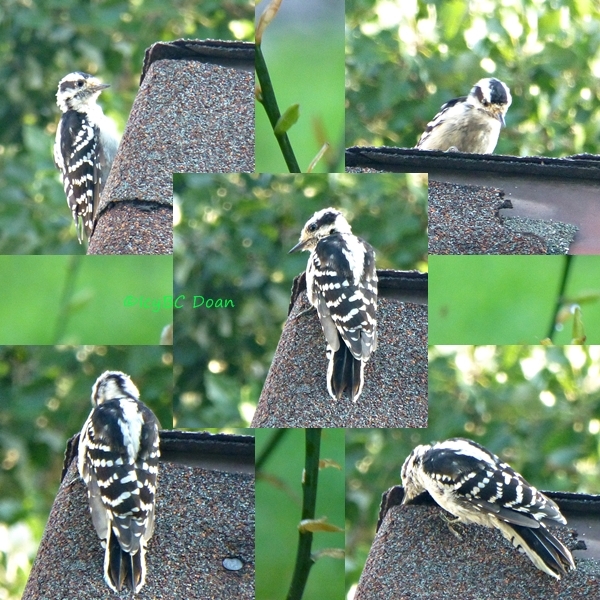 I noticed the movement of woodpeckers as well. This is an awsome post. Icy, how cool is that to have those little guys around. You got a great shot. Hmmm. I hope they aren't finding bugs there! How lucky to be able to observe the woodpeckers so closely. What a surprise. A fun visitor. Great post. Always nice to see them visit. Cute shots of the woodpecker! It looks like a young one. Maybe he hasn't figured out the difference between roofs and trees yet! So how did you even take those photos? Being that the bird is so high up? I think they are hungry. Great captures.